The neXtulsa program is dedicated to offering leadership development for professionals drawn to a career in the nonprofit sector. 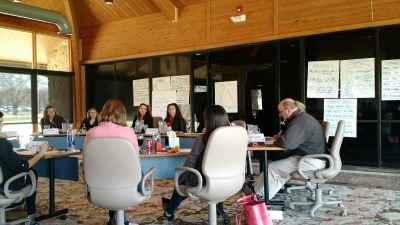 neXtulsa is in partnership with the University of Oklahoma and its work with hope-informed leadership. Research shows there is a strong connection between effective leaders and the Theory of Hope. Program participants will be introduced to the hope concepts and practice creating a culture of hope in the workplace. neXtulsa originally began with the purpose of developing candidates for the expected vacancy of non-profit executive director retirement. Under this original mission, participants were nominated based on their advanced development and desire to assume an executive position in the short term. To date there have been 69 participants and the non-profit leadership pipeline is aptly supplied with solid candidates. After considering the value of the program TAUW leadership and the steering committee for neXtulsa has broadened the scope of the target audience, revised the program curriculum and now are recruiting young professionals who aspire to a career in the non-profit sector, but who might not otherwise get the development opportunities offered by large agencies or organizations. neXtulsa is a ten-month commitment with a session every month. Each participant is required to attend at least eight of the sessions to complete the course including a mandatory retreat.